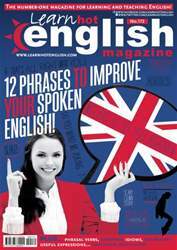 Digital Subscriptions > Learn Hot English > 172 > HOW CLEAN IS YOUR HOUSE? You’re going to listen to some people talking about doing housework. Look at the list of things below. Which ones do you do? How often do you do them? Which ones don’t you mind doing? Which ones do you hate doing? Why? Make notes. Then, listen once. Which household chores are mentioned in the conversation? tidy up, do the washing, do the washing up (do the dishes), do the cleaning, hang up washing, mop the floor, sweep the floor, clean the bathroom, empty the dishwasher, clean the windows, do the dusting, do the hoovering (vacuuming), take out the rubbish, make the beds...Other?